Delicate vines and leaves weave around each other on these botanical favorites. Both left and right earrings are unique with mirrored design. 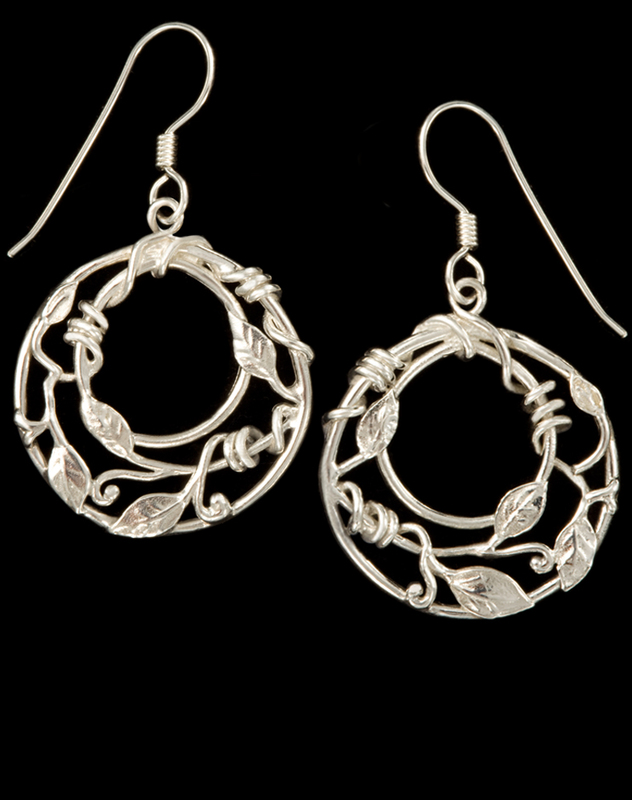 These earrings make a great set with the vine and leaf ring and pendant.